Game description: A thousand years ago, Saruin was imprisoned. Now the barriers that contain him are weakening, and his foreboding shadow threatens to swallow the world of Mardias once again. Who will rid the world of Saruin's scourge? A mysterious minstrel appears and guides the group to adventure, at times shielding them from adversity. Occasionally, the minstrel forces grave choices upon them, which change their world and twist the plots they encounter. 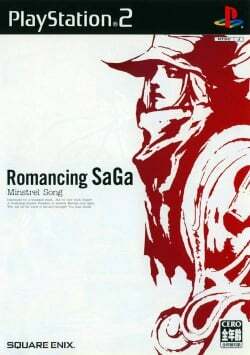 Romancing SaGa reclaims the renowned features of the series and boasts all new elements enhancing gameplay, bringing the player even deeper into the story. The free-roaming scenario system gives gamers a choice of eight intriguing playable characters, each with their own unique adventures and individual goals. Depending on the character and actions chosen, the plot and the subsequent events differentiate dramatically. This free-roaming scenario system promises the ultimate in open-ended adventure. Still working and looking good. This page was last edited on 18 February 2017, at 17:59.